In 1990, former Ugandan troops formed the Rwandan Popular Front (RPF), under Paul Kagame. 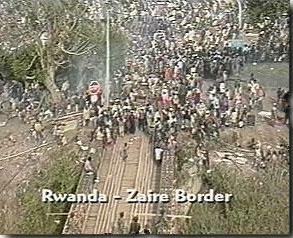 This group formed from out of the Banyarwanda a group of exiled Rwandan Tutsis estimated at close to 150,000. 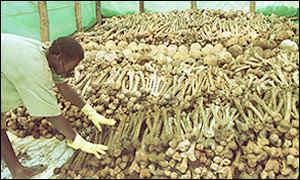 More than 4,000 of them organized and invaded Rwanda late in 1990 starting the bloody three-year war. The President's closest advisors formed two military groups: the Interahamwe (Those who attack together) and the Impuzamugambi (Those who have the same goal). 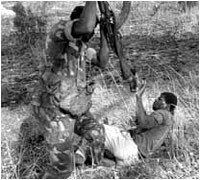 The Interahamwe was the youth militant branch of the MRND (Republican National Movement for Democracy and Development) and the Impuzamugambi was CDRs (Coalition for the Defense of the Republic) youth wing. In the months before the Presidents death these two groups received both training and weapons from the military and the Presidential Security Forces. In August 1993 after a series of talks between the RPF and the government a peace agreement is reached. Just when all seems to be changing for the better the president was killed in a rocket attack on his plane on April 6 1994. 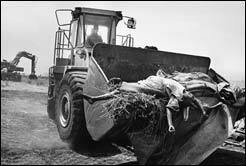 Only hours latter the killings resumed. 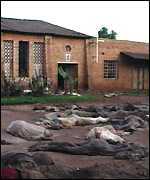 For about 100 days, the Interhamwe, followed what evidence suggests was a clear and premeditated attempt to exterminate the country's ethnic Tutsi population. 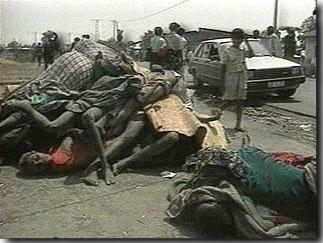 The interhamwe militias massacred entire villages of Tutsi and moderate Hutu - on average 5000 people every day. By mid-July, almost one tenth of the people in the small but densely-populated nation had been slain: 500,000-1 million dead and a reported 300,000 refugees. 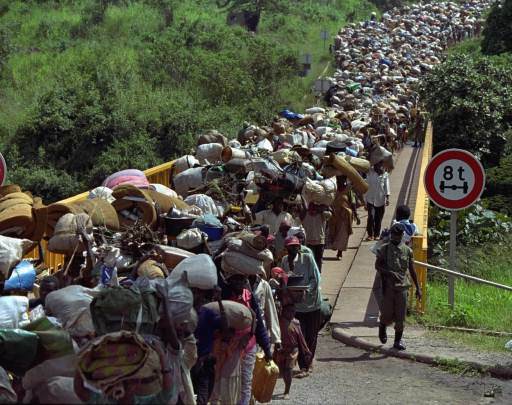 245,000 Rwandan Hutus escaped towards refugee camps located in Tanzania, Zaire (now Congo) and Burundi. 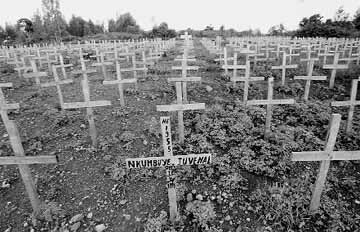 Kibumba Number One (Zaire) had 350,000 refugees, but grew even larger when the government of Zaire sent refugees from Goma and Munigi.In the camp at Kibumba, thousands of Rwandan refugees die daily of cholera, dysentery, and starvation. French Army tractors pile the bodies up against mounds of volcanic lava and then cover them with earth. Death has become a management problem. 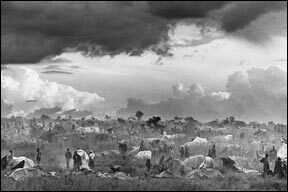 With as many as 350,000 arriving at the refugee camp at Benako (Tanzania) in just four days, the initial conditions were deplorable. 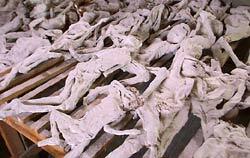 The massacres left several hundred thousand children either orphaned or separated from their parents. A recent Unicef report estimates that 700,000 children - 18 percent of Rwanda's 4.2 million children - still live in difficult circumstances. 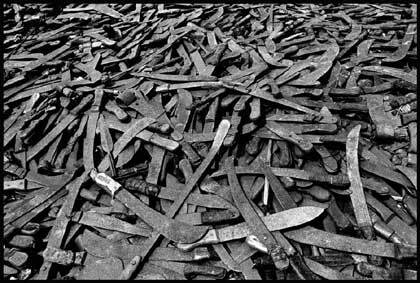 96% of children interviewed in Rwanda had witnessed the massacres and 80% of the children had lost at least one family member. In November of 1994, the Security Council of the UN established the International Criminal Tribunal for Rwanda, seated in Arusha, Tanzania. 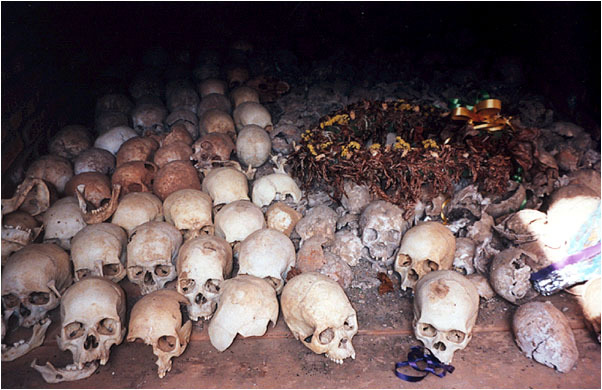 The International Criminal Tribunal for Rwanda was established for the "prosecution of persons responsible for genocide and other serious violations of international humanitarian law". 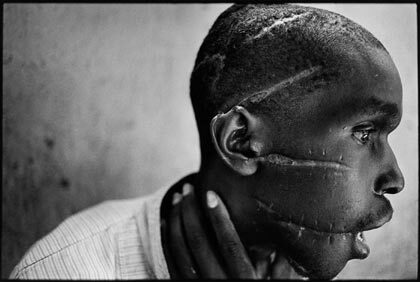 As of April 2004, the ICTR has handed down fifteen judgements involving twenty-one accused. Another twenty-one accused are on trial.